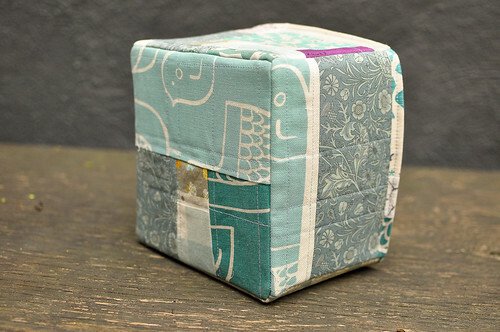 The first class Cheryl taught was the Quilted Storage Box. I LOVE this project!! 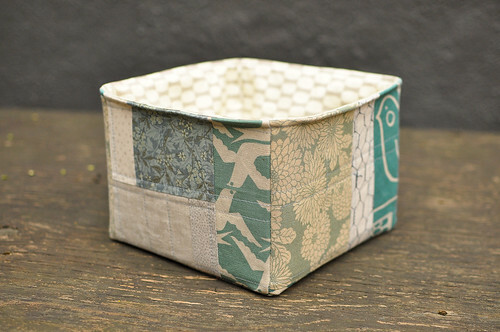 You use your scrap fabric to make improv patchwork boxes that are colour coded to hold and organize all your scraps. I want to make a hundred of these! We started by making a large improv block that Cheryl calls ‘slabs’. The slab is then cut up and used to make the sides and bottom of the box. The design is pretty brilliant. I loved getting to line up all the boxes at the end of the class together to see them as a group. In my dream world, I have a craft room at home and the shelves are lined with these colourful boxes. I can’t wait for a free afternoon so I can whip up some more of these. On Monday morning, we gathered together for Cheryl’s second class Colour Value. 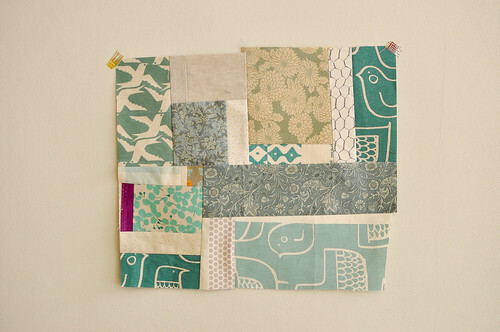 I know that colour is something that most people struggle with when choosing for their patchwork, so this class was really useful to help pinpoint some good tips and tricks to recognize and use colour value to your advantage. 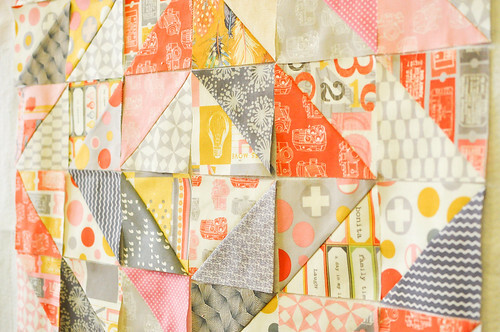 I used a charm pack from the collection Twenty-Three to make my HSTs (half square triangles). It was particularly interesting because when I laid out all the squares, the colour from the collection appears to have very little contrast, so I was a bit concerned that I wouldn’t be able to achieve any visible colour value difference within my blocks. Paying attention to even small differences in colour value created a pretty nice result in my final piece. I still need to sew all the HSTs together, but I kept them organized in the layout from class. Cheryl is such a great teacher, I’m already hoping to convince her she needs to return to the workroom for more classes! 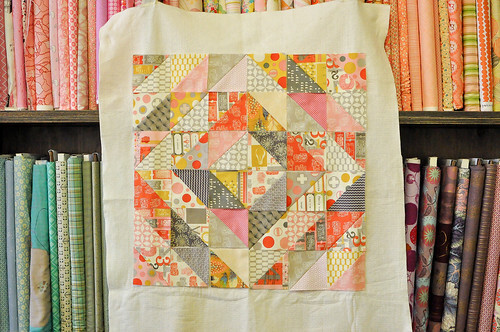 In the meantime, you can take a class with her on Craftsy or pick up a copy of Sunday Morning Quilts. Cheryl’s new book will be coming out this summer and I can’t wait to get my hands on a copy!! p.s. Cheryl wrote a really nice post about her experience teaching at the workroom here. 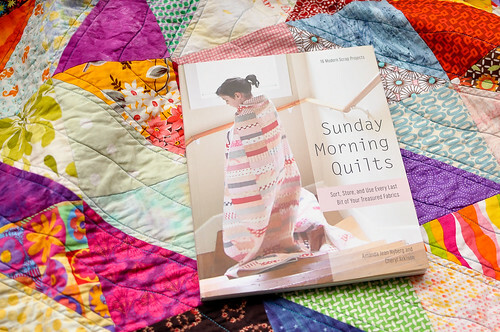 I’m a fan of Sunday Morning Quilts! What a lovely, well-written, and interesting book. So much so, I HAD to buy it for a friend who is a bit of a scrap-a-holic. I would have loved to have been in that class! You have intrigued me with that book, I think I will buy myself a copy! I’ve got that book, and want to make those boxes. If I ever move to Toronto from NZ (which is a slight possibility) I will definitely be signing up for some classes at your shop! I miss the classes at the workroom! 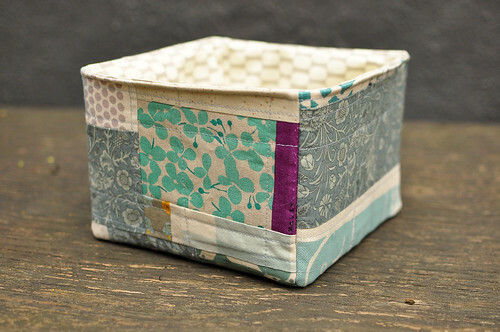 What a beautiful quilt and fantastic storage boxes! 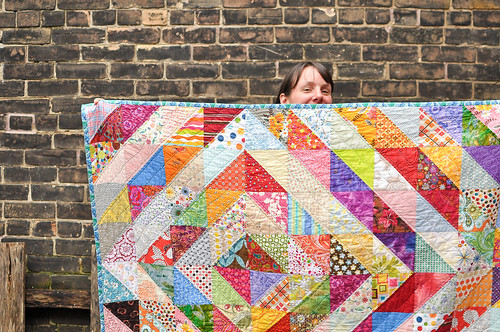 The Vancouver Modern Quilt Guild and the Fraser Valley Modern Quilt Guild are excited to be bringing Cheryl out to BC to teach a couple workshops in July! Thanks for this recap, it makes us even more excited about our time with Cheryl! Our quilt group “Stitch’n Time” in Calgary would like to contact Cheryl Arkison. We were hoping she had time to present a trunk show to our group. Do you happen to have her email address and any other contact information please?